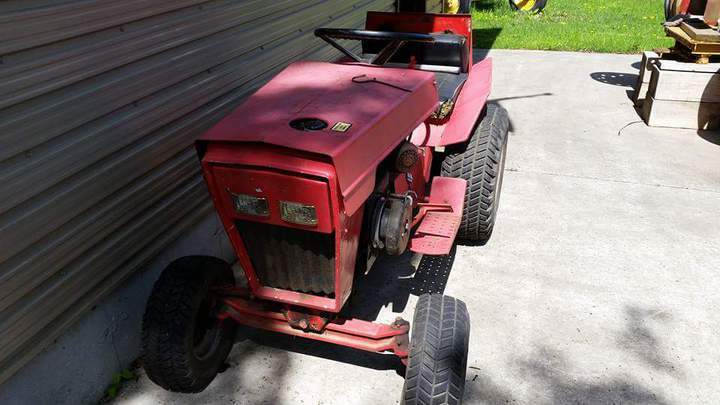 So I bought this tractor 10 years ago..my grandaughter and I used to drive around ghe yard on it. It uses to have the deck..but it's gone missing.it's red..had a sloppy red paint job at one point by someone..but it looks like maybe it was originally red. Anyone have any info on this one? Here is a little info. Built by Jacobsen, Kohler K321 engine, hydrostaic rear diff. 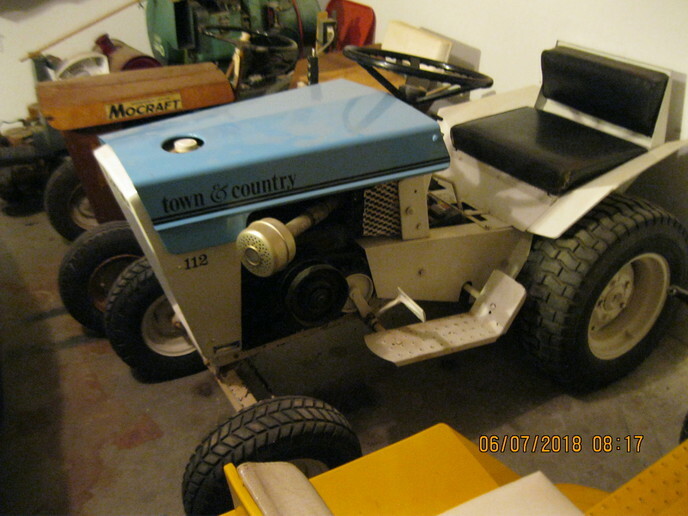 Same basic tractor was available in several colors and engine/trans combinations including Jacobsen, Ford, Oliver, and Minni Moline. Quite a stout little tractor in its day actually, capable of using many attachments including a single bottom plough, tiller, snowblower or snowblade. 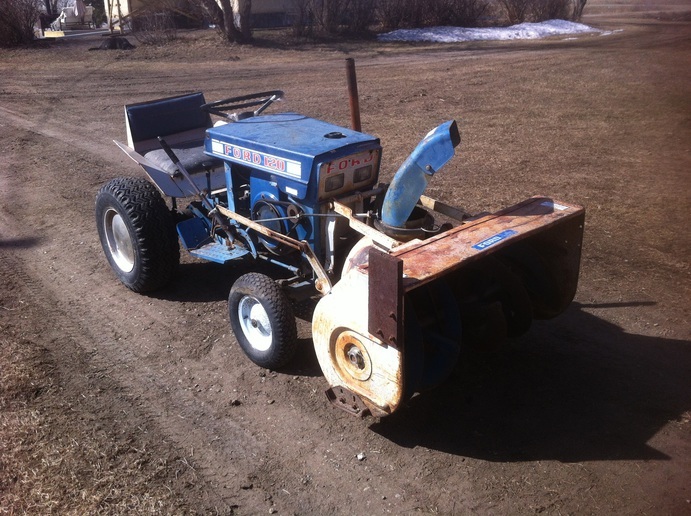 Comparable to the JD or Cub Cadet 1xx series tractors of the same era. Pretty rare piece in White Town and Country trim. Most were Ford or Jacobsen, then Minneapolis Moline. No Olivers were built in that style, they came after Jacobsen switched to the GT series. Nice to see another Jacobsen built White. I have one that I bought about 6 years ago. It is waiting for a restoration. It is part of my collection of Jake builts. I have my original 1971 Ford 100 stick shift that I bought new and a Ford 100 hydrostat that I bought used. 3 other Fords, 4 Jakes, a Minnie-Mo and the White. N tractors have kept me busy first. I have seen a couple of Fords show up on Craigslist. Non-runners for gold! Do you think it's supposed to be red or white and blue? This is my White 112, gear drive. It is painted just like it left the factory in Racine.It is hard to tell that the engine is all black. The last year of production of Jac built M M built tractors. The brown tractor in the background is an original Mocraft, First year of production. Nice pair of machines. I have a Ford collection started. One I have is same as your White. Companies back thin made good stuff.